We can learn much about the nature of God through reasoning from the world around us. The Scriptures also reveal that within this one nature, this one essence, this one God, there are Three Persons. 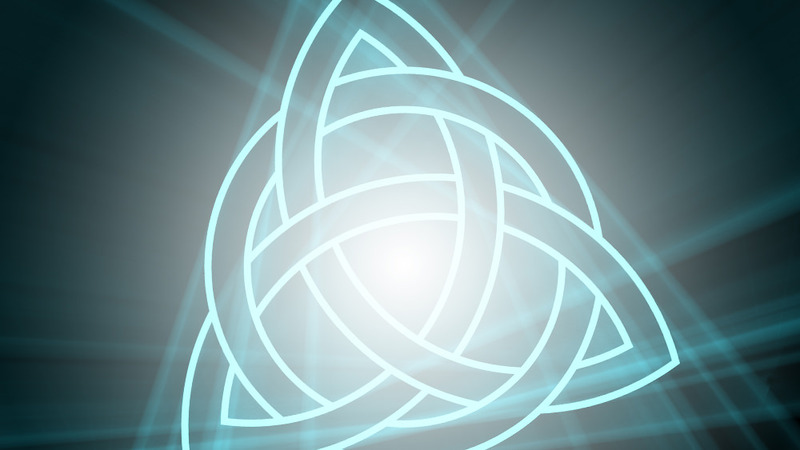 Many people have a problem believing in the Triune nature of God because they cannot distinguish that from pagan mythology. But, all you have to do is reason through mythology to see that mythology is not the same as the Deity. Let me just use Greek mythology as a contrast since we are somewhat familiar with Greek mythology. The principal Greek gods were the Olympians, residing on Mount Olympus, under the eye of Zeus. Then, you have Pan, Nymphs, Naiads, Dryads, Nereids, Satyrs, and Erinyes. Greek gods had physical but ideal bodies. They could be wounded, although only under special circumstances. Greek gods were immortal, but only by the use of nectar and ambrosia, which rejuvenated their blood. Greek gods had a genealogy, different interests, a unique area of expertise, and their own personality. They were also limited to certain aspects of life. That is why you have Aphrodite, the goddess of love and beauty; Ares, the god of war; Hades, the ruler of the underworld; Athena, the goddess of wisdom and courage. That is how man develops his image of “god.” Obviously, man’s gods reflect man’s nature. But the God of nature is not like that, as we can see and reason from nature itself. Additionally, the Bible reveals that there are, in fact, Three Persons that share in that divine, unique, absolute nature. We can define “person” as “a being with intellect, will, and feelings.” The Bible reveals that each Person in the Godhead has the attributes of deity and aspects of personality. There is God the Father (John 6:27; Romans 1:7; Galatians 1:1). There is God the Son (John 8:58; Romans 9:5). There is God the Holy Spirit (Acts 5:3-4). We see the Three interacting at the baptism of Jesus (Matthew 3:17) as well as in the authority for baptism (Matthew 28:19). Practically speaking, the unity of all believers, all Christians, flows out of the unity of God’s essence (Ephesians 4:3-6). If we will work, each of us, at being more like Christ, then we will have unity with each other. The one God demands it. Copyright © 2015 by Paul Holland, in Droplets of Living Water, March 24.